President Donald Trump coined a new slogan for his proposed wall along the U.S.-Mexico border Wednesday morning as a fight continues over funding and a partial government shutdown passes the one-month mark. Trump’s new sloganeering effort comes during a near complete breakdown in talks between the White House and Democratic lawmakers over the partial government shutdown. 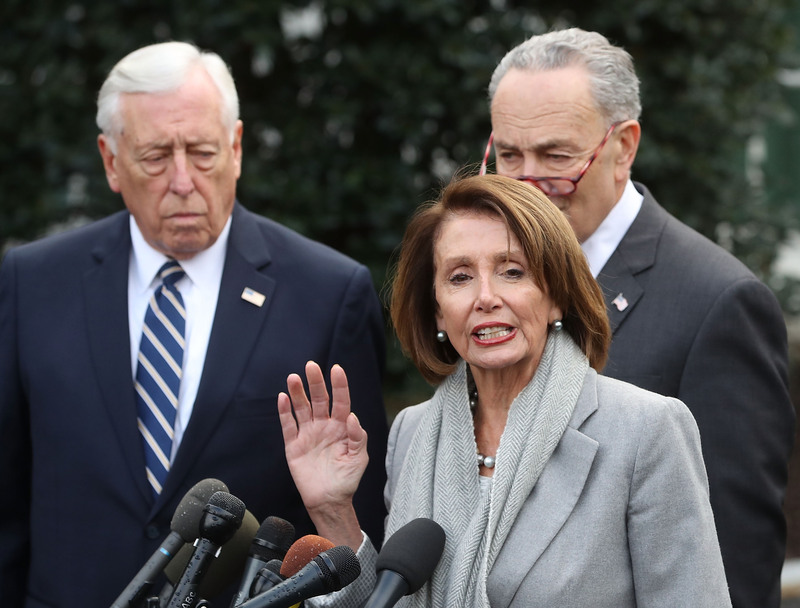 The two sides remain largely where they were when the shutdown began shortly before Christmas with Democrats saying they will provide only $1.6 billion in border wall funding and President Donald Trump demanding $5.7 billion. The president sought to break the 32-day logjam and stave off another missed paycheck for federal workers Saturday by offering Democrats the chance to extend the DACA program for an additional three years and the temporary protected status program. The president has sought to galvanize public opinion by delivering an address to the nation from the Oval Office, but Democratic lawmakers have remained insistent that no additional funding will be provided. Nearly 800,000 federal workers remain without a paycheck in the interim period, with workers expecting to miss another scheduled pay period Friday.